At Poole Eye Associates, our focus is on you. 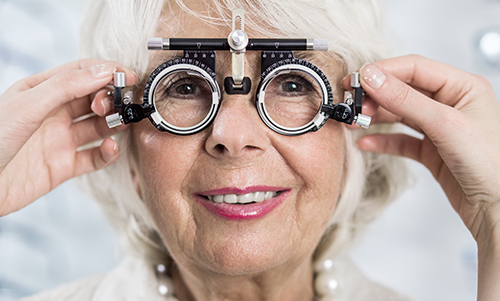 The professional optometrists and staff at Poole Eye Associates offer comprehensive eye care services to residents in Marble Falls, TX and surrounding areas. We’re proud to have built a reputation as a trustworthy provider of compassionate, personalized eye care. 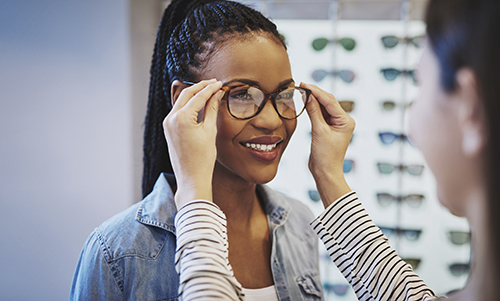 We offer complete vision services from routine and emergency exams to eyewear in a comfortable, family-friendly environment. Call to schedule your appointment today. We specialize in eye care for children and adults, including routine exams, emergency care and more. >> See all the services we offer. Our well-trained doctors and support staff are committed to giving your family the best service possible. >> Meet our doctors and staff. I love Dr. Poole. He was so nice and extremely professional. He explained thoroughly everything that he was doing. It was an efficiently run office. The staff were very friendly. It was the most pleasant office experience that I have had since I started wearing contacts seven years ago. I have encouraged my husband to make an appointment and I have shared with some friends that Dr. Poole is a great doctor with a wonderful staff. We drive 190 miles because we have always been treated very nicely and our exam is always good. Dr. Poole is very good at what he does we will always drive the extra miles to get our eyes checked. As a physician and business owner, I’m very critical of office personnel and the doctor I am seeing. Dr. Poole and staff were very professional and competent. I enjoyed my appointment and highly recommend this office for eye care. I wish I had found Dr. Poole sooner. I felt I had a comprehensive eye exam and I was seen promptly at my appointment time. He took the time to show me pictures of my eye and explain what we were looking at. Nobody has ever done that before. What a great experience! I was greeted warmly, clear explanations were given as to what was about to happen (before tests), and multiple staff members helped me choose the perfect frames. When I left, I felt that I had made new friends. I highly recommend Poole Eye Associates!